My pursuit of good fashion has not waned in 2015, my friends. In fact, I feel as though I am finally hitting my stride and getting it together. I only wore pajama pants out in public twice last week! Small victories, people. Small victories. 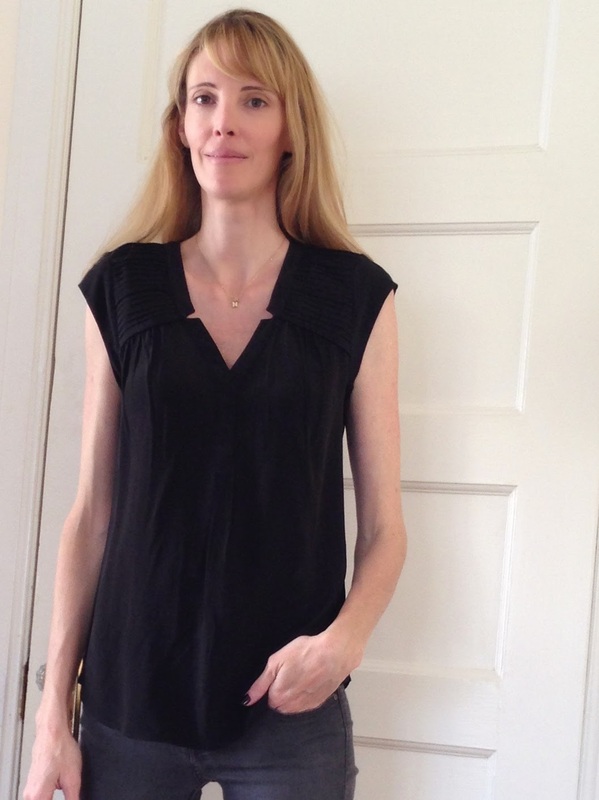 I decided to give a new Stitch Fix stylist a try this month and I have to say that I was pleasantly surprised. I can't stress enough how important it is to keep an updated fashion Pinterest board, because each time I've gotten unique pieces that I've loved it was because my stylist checked out my board and chose accordingly. Slowly but surely I'm building a quality wardrobe. I no longer dread getting dressed every day, because I know that I have some cute pieces of clothing that actually look good on me. Now if I can just find the time to reorganize my closet so that piles of shoes don't fall on me every time I open the door, we'll be in business. I did put on some of my fave makeup and I blow dried my hair, though I sincerely apologize for not putting on some lipstick. Dear God, I look like a well-dressed corpse. Ah well, you win some, you lose some. 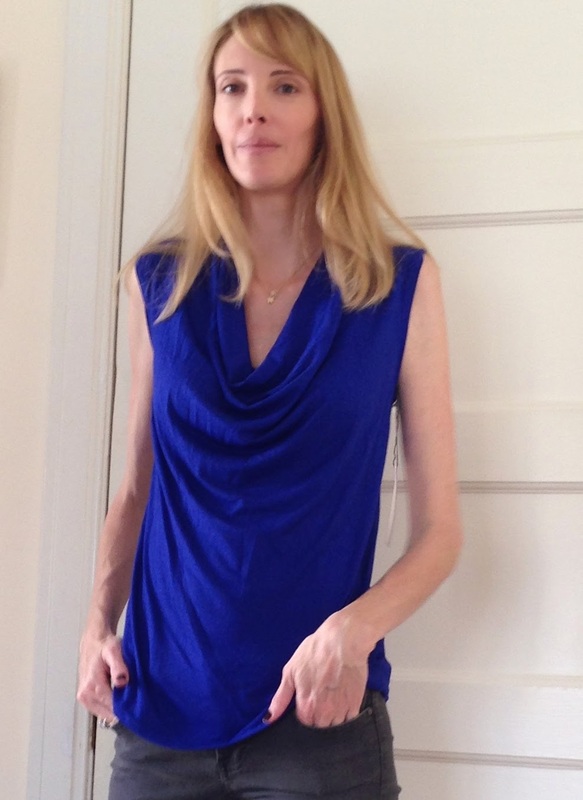 This was really comfortable and I like the color, but I thought it made me look as though I might be pregnant again (I AM NOT PREGNANT, not to worry). Since the idea behind Stitch Fix came about because I wanted to no longer wear anything that reminded me of being pregnant, there was no way I was keeping this. RETURNED. This is just so not my style. It kind of reminded me of the hippie top from last month's box only not as flattering. And the color washed me out; trust me, the last thing I need is to look more pale. RETURNED. 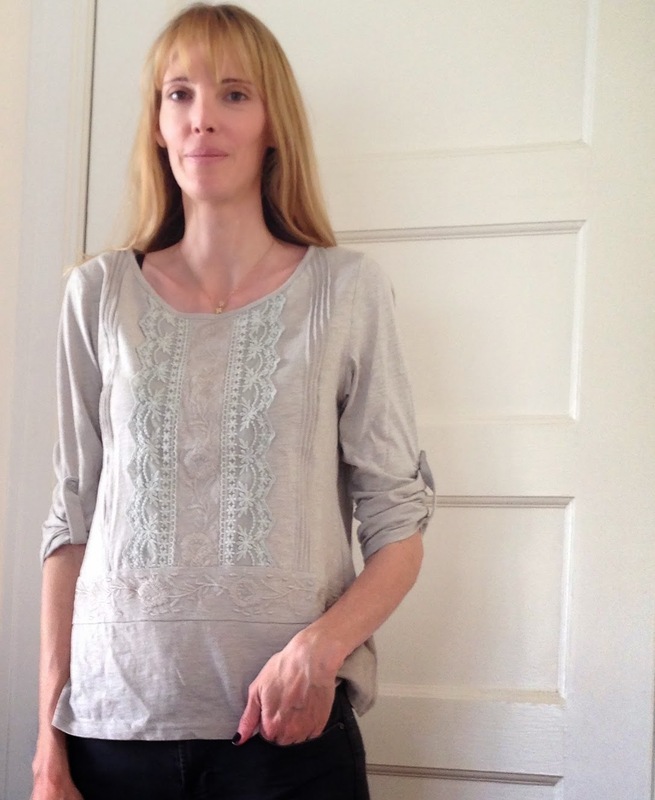 Okay, I realize that wearing silk when one has small children is not very practical, but I love love love this blouse. It's my favorite color, it's super comfortable, and it looks great with pretty much everything. I think I could even wear this with shorts, assuming I ever needed to wear dressy shorts which is probably never going to happen. I've been trying to find a blouse that I like and that doesn't make me look like a flight attendant circa 1982 for going on five years, so while this is a little more than I would usually spend on a top I decided to splurge. Look for me to be sporting this gem in every date night selfie I post on Instagram for the next three years or so. KEPT. The Hubs really liked this top and while I think it looks pretty good on, I'm just so sick of stripes. I can't do any more stripes. 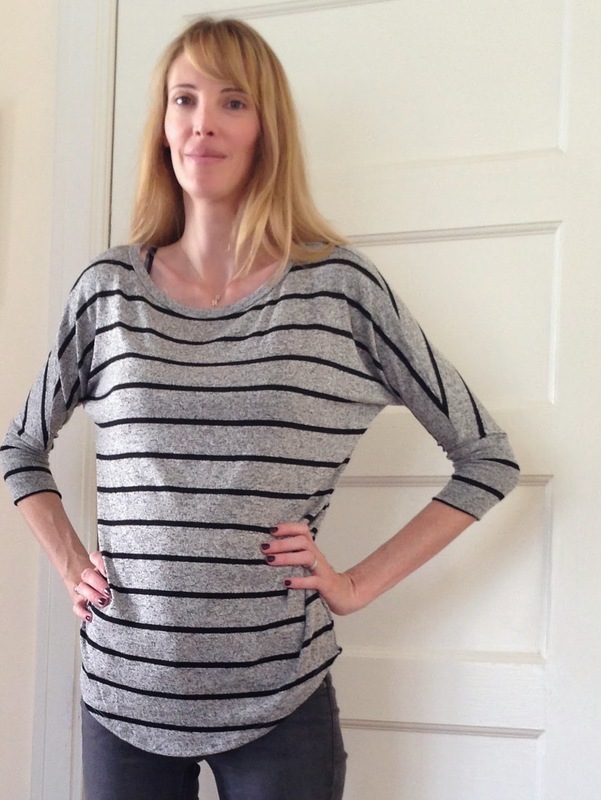 I wore tons of stripes when I was pregnant (both times) and I'm just sick of them. That being said, if this top had been in a solid color I totally would have kept it. RETURNED. I did not think that I would like this skirt, but I was pleasantly surprised. This is a perfect example of my stylist noticing that I'd pinned some of these type of skirts on my fashion board (who knew? Not me) and so she sent me one to try. Well. I am so glad that she did because I would NEVER have tried this on in the store, but it's super cute and looks gorgeous with my silk blouse! I can also see myself wearing it with sandals in the summer or with heels for the next bar mitzvah I attend. It's definitely a little pricey, but I justify it by thinking about how many hours of childcare I would have to pay for in order to go shopping at the mall. *Shudder* KEPT. Why not sign up for Stitch Fix and get the groove back in your fashion life? Let's make 2015 the year that you focus a little more on your wardrobe. Because while your kids may look straight off the pages of Baby Vogue, those sweats you've been wearing for the last six days in a row are starting to smell. And your kids are embarrassed to be seen with you.